medical consequences of his outrage at abusive practices of the Church. theories about the mysteries of the universe, existence, women, love and God. 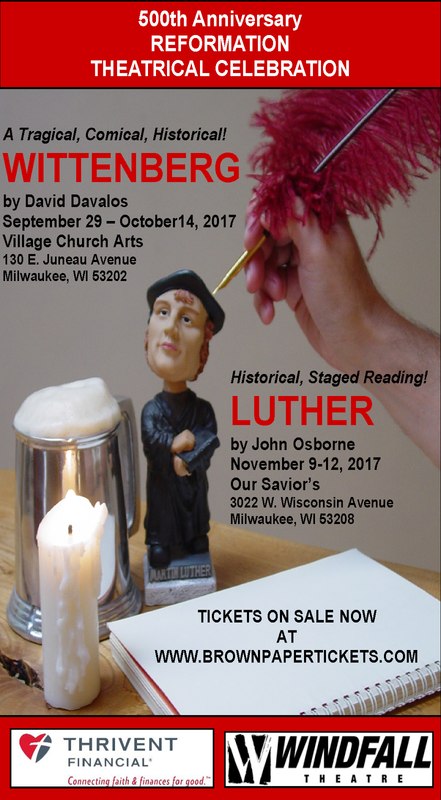 Purchase tickets for WITTENBERG and attend LUTHER for $10! Call the Windfall Theatre Box office at 414-332-3963 for group discount!